Meat and potatoes are a simple and classic combination. 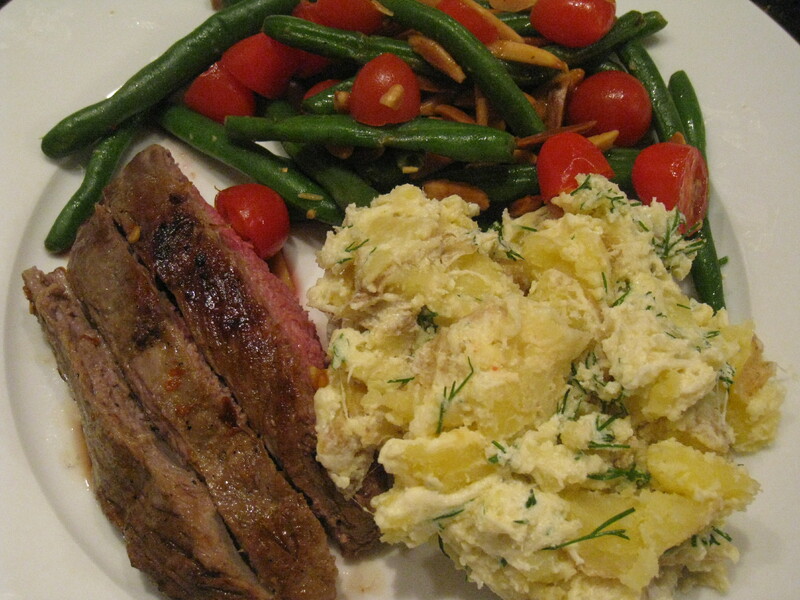 This recipe features a simple steak with two lovely side dishes. Try this recipe for new, bright flavors combinations. Serves between 2-4 people, depending on how hungry you are. 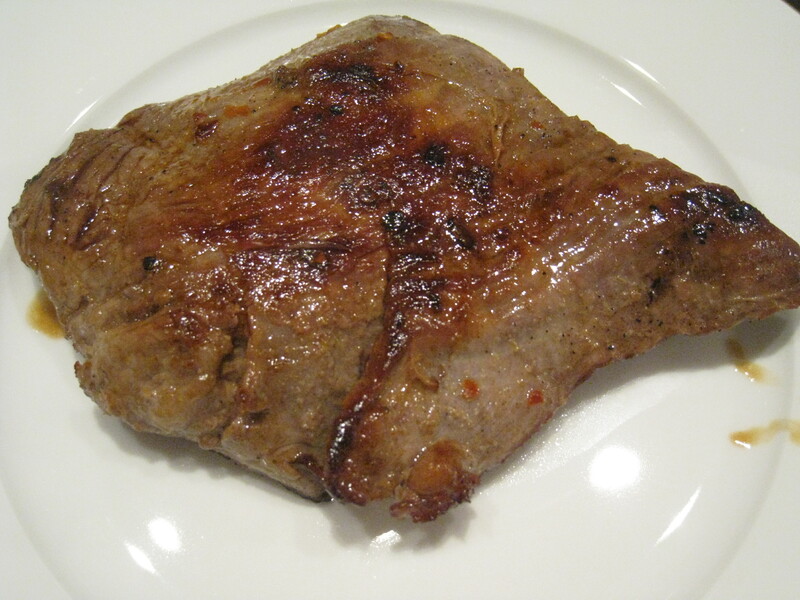 Plain & Simple Flank Steak: Season both sides of the steak with garlic salt and red papper flakes to taste. Heat 1 tbsp olive oil in a pan on medium-high heat and then add the steak. Put the lid on and allow the steak to brown for 5 minutes. Then repeat on the other side of the steak. Remove the pan from the heat and keep the lid on, allowing the steak to sit for 5 minutes. Depending on the thickness of the steak, it should be cooked to a medium color inside. 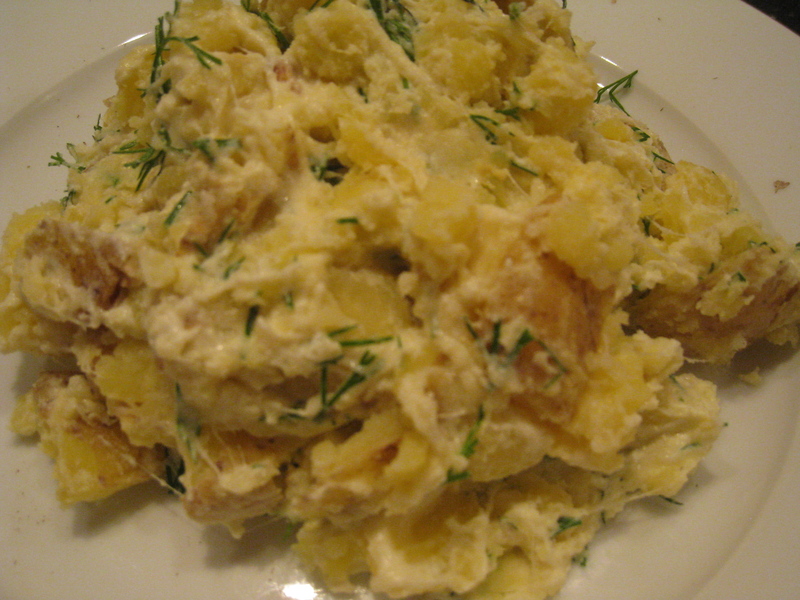 Creamy Dill Mashers: Boil or microwave the potatoes until they are soft and break apart easily with a knife or fork. Place potatoes in a large mixing bowl and use a knife to roughly cut them into smaller pieces. While the potatoes are still hot, add mozzarella, reduced fat sour cream, dijon mustard and dill. Stir to mix together. Add the juice from 1/4 of a lemon, add garlic salt and pepper to taste and mix. 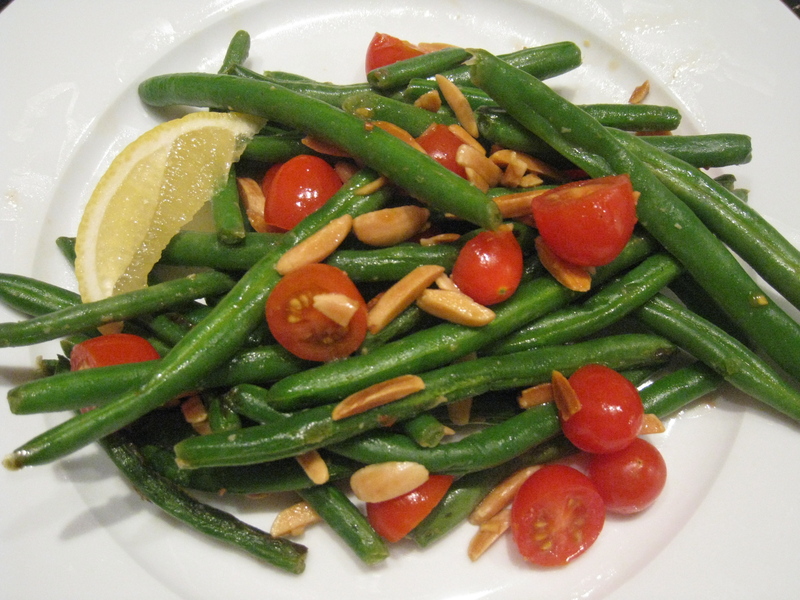 Lemony Almond Beans: Steam the green beans and drain any excess water. Add 1 tbsp olive oil in a pan on medium heat and add garlic. Sautee the garlic until lightly browned (about 30 seconds) and then add the green beans. Sautee the green beans until they get lightly browned on the sides. Turn off heat and add toasted almonds, grape tomatoes and the juice from 1/2 a lemon. Toss ingredients together. Add salt and pepper to taste. To toast almonds: Put almonds on a baking sheet and place in 400 degree oven for about 5 minutes until lightly browned. ← My Love Affair With Pickles.